Welcome to the Mullinax Ford Quick Lane page. Come check out our brand new facility with 12 bays for faster service. We are excited to offer our friends in Apopka a wide range of high-quality services that keep your favorite car, truck, or sport utility vehicle (SUV) in top shape. From replacing worn tires to switching out broken belts and busted hoses, you can trust in our trained technicians to get the job done right on your vehicle in a timely and efficient manner. 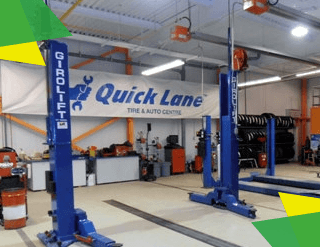 Digging a bit deeper into the Quick Lane difference we are willing to go above and beyond to ensure you leave happy, satisfied, and confident in the quality of the work performed on your vehicle. Our commitment to 100% customer satisfaction is rock solid, so feel free to connect with our team automotive repair and maintenance experts with any questions, comments, or concerns you might have and we will offer up the insight and information you need to make a smart, informed choice regarding the health of your vehicle. Finally, no appointments are necessary, so go ahead and drop by the Mullinax Ford Quick Lane auto care center whenever works best for you. From here, the Mullinax Ford team of technicians will get the ball rolling on the service and support you need to get back on the streets of Apopka and moving forward with your hectic schedule. Before going any further and discussing the types of service and support offered at Mullinax Ford's Quick Lane Tire and Auto Center, it is vital that we address one of the most important questions running through your mind right now: Can the Quick Lane team take care of my specific car, truck or SUV? Fortunately, the answer to this question in almost all instances is a definitive yes. While Mullinax Ford is Apopka's trusted home for great Ford vehicles, our technicians and automotive repair professionals are well-versed on the unique needs and considerations of a vast majority of major manufacturers. This means the Mullinax Ford Quick Lane staff of specialists are almost certainly capable of taking care of your favorite vehicle. 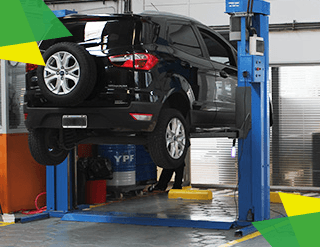 Bringing your vehicle in for a routine visit to Mullinax Ford's Quick Lane service department starts with a thorough inspection and evaluation process. During this initial check-up, our team of industry-leading technicians will review and audit the vital systems, components, and parts of your vehicle to gauge the overall health of this automobile, as well as which areas require immediate attention. Once this process is completed, you will receive an in-depth Vehicle Check-Up Report that not only breaks down the maintenance needs of your car, truck, or SUV in a quick, efficient, and easy to understand manner, but also provides the guidance you need to get your vehicle back in top shape. 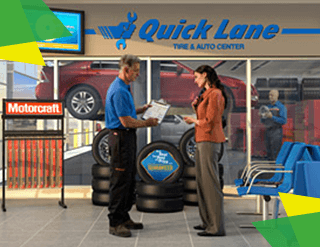 Now that we have covered the "big picture" of how the Quick Lane Tire and Auto Center at Mullinax Ford helps differentiate itself from the competition here in Apopka, it is time to bring you up to speed with the various services and support offered up by our expert team. The best place to start this conversation, of course, is by taking a look at our outstanding approach to tire care and replacement. In terms of which new tires you can purchase for your vehicle, Mullinax Ford offers a wide array of selections on this front. In total, these 13 name-brand offerings found here at our Quick Lane service center will undoubtedly keep your favorite car, truck, SUV, hybrid, or crossover riding smoothly, no matter where the roads of Apopka take you. Outside of conducting your tire service in a timely and effective manner, the Mullinax Ford Quick Lane team is also more than happy to offer up tips, advice, and other insight related to daily maintenance and upkeep that can help keep your tires in great shape between visits. 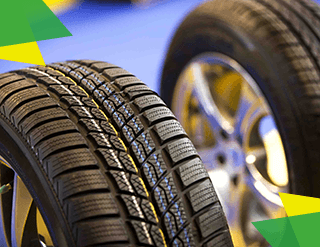 For more help on this front, make sure to connect with your friendly Quick Lane associate during your next tire visit. 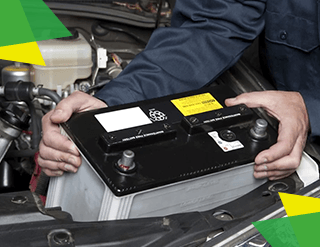 In other words, buying a battery from Mullinax Ford and the Quick Lane service department means getting both the most bang for your buck and an adherence to quality that will stick with your purchased unit long after you roll off of our lot. It is no big secret that people need proper hydration and cooling when tackling tough tasks in the warmer months of the year. However, many people do not subscribe to the same line of thought when it comes to their vehicles. Unfortunately, failing to embrace this perspective is an easy way to deal lasting damage to your Ford car, truck, or SUV – or an offering from one of the other manufacturers covered by the Quick Lane service team. 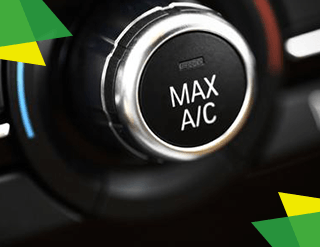 If you are not interested in letting the heat take its toll on your car, go ahead and stop by Mullinax Ford's Quick Lane Tire and Auto Center for a cooling system inspection. From checking hoses for damage and leaks to monitoring operating temperatures, our technicians have all of the tools and know-how necessary to keep your engine safe during the hotter months of the year – and help you repair and restore any damaged or malfunctioning components that are already affecting your vehicle's performance. 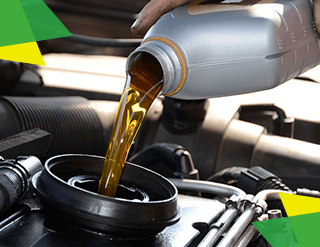 Perhaps the most important part of your car's routine maintenance program, regular oil changes drastically impact countless facets of your vehicle's potential performance. In fact, everything from the longevity of your engine's useful life to the gas mileage you get during your daily commute around Apopka is directly impacted by how clean your engine is and whether or not you keep it properly lubricated with regular oil and filter changes. Standard Oil and Filter Change – The baseline or "good" option of the bunch, this standard service leverages premium Motorcraft Synthetic Blend oil, complete with performance additives, to minimize rust and corrosion, break away potentially damaging deposits, and keep your engine safeguarded from wear and tear. "The Works" Fuel Saver Package – As the "better" choice for your vehicle, "The Works" package encompasses all of the services listed in the previous option, in addition to a plethora of other treatments (which include battery testing, a Vehicle Check-Up Report, tire rotation, and brake inspection) that keep your vehicle in top shape. Scheduled Maintenance Designed Specifically for Your Vehicle – The "best" alternative on our list comes in the form of vehicle-specific scheduled maintenance. Designed with your exact automobile in mind, this service package can encompass a wide range of products and treatments (including spark plug replacement and engine coolant flushing) that go beyond a basic oil and filter change – and ensure you maximize the useful life of this important investment. Each of the options listed above make use of Motorcraft's high-quality oil and filter products, so you can drive with confidence knowing your engine is both protected from unnecessary wear and poised to maximize its fuel efficiency. 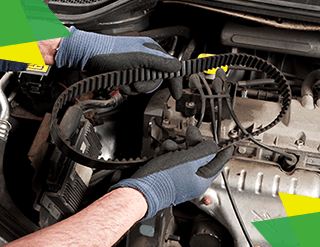 The fact of the matter is that worn and damaged belts and hoses are some of the most common issues to afflict vehicles – and entirely avoidable if you are willing to place a priority on routine maintenance and inspections. The Quick Lane staff here at Mullinax Ford can help you out on this front by inspecting all of your belts and hoses for leaks, degradation, and other signs of wear. To put it all in plain terms, our guys will be more than happy to run over each belt and hose in your vehicle with a fine-tooth comb to ensure a cracked, split, or otherwise damaged component does not evolve from a minor nuisance into a major issue. As the most important safety feature found on your vehicle, it is beyond important that you give your brakes their appropriate due. With this in mind, we recommend regularly stopping by Mullinax Ford to have your brakes inspected by our team of Quick Lane brake specialists. The big key to remember on this front is that brakes are designed to wear down over time, so even if your car, truck, or SUV is stopping fine now, it could be on the verge of needing replacement brake parts or other restorative maintenance. 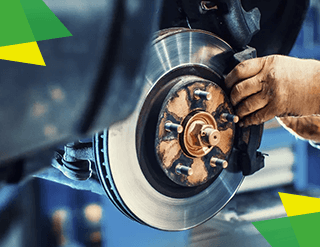 If you would rather not take a chance with these vital offerings, go ahead and connect with our team today to get the ball rolling on a routine inspection – and replacement with high-quality brake products and brake fluid, if necessary. As you can see, the Quick Lane Tire and Auto Care Center team found here at Mullinax Ford is ready and willing to tackle any service or maintenance issue that comes your way. From brake replacements to tire repair, you can count on our unparalleled blend of service, support, and affordable pricing to get you back on the roads of Apopka in no time. With this in mind, there is really only one question left to ask: When the time comes to repair and maintain your favorite Ford vehicle, or an offering from another manufacturer, why would you ever want to choose anyone to do this work but the finest provider of service and support here in Apopka?